Champagne has long been positioned as the drink of celebration, and 2012 has given us many excuses to celebrate, but there are an enormous number of other sparkling wines available to us here in the U.K. What is it that makes Champagne so different, and can its position at the top ever really be challenged? In order to understand the dominance of Champagne, we need to understand the processes involved in its production and how it differs from other sparkling wines such as Prosecco, Cava, and English Sparkling Wine. 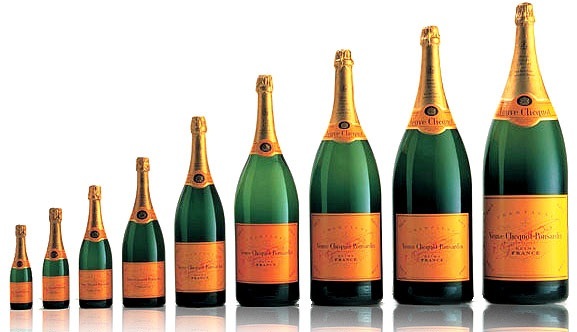 Champagne: like Russian dolls, but French. And alcoholic. 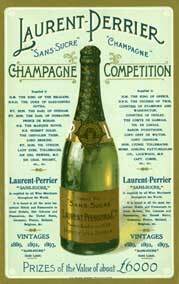 Champagne, as with all wines, starts life as grapes on a vine. Three grape varieties constitute almost all champagne production: Chardonnay, Pinot Noir and Pinot Meunier, which must all be grown in the Champagne region of north east France. The eagle eyed amongst you will notice that two of the three are black grapes, more commonly associated with red wines. These grapes are pressed so gently that none of the colour from the skin permeates into the wine, leaving the juice clear. Once the juice has been fermented it is bottled as a base wine which has a small amount of yeast and unfermented grape juice added, before being sealed closed. As a result, a ‘secondary fermentation’ occurs in the bottle and it is this key feature which is essential to Champagne production. During the secondary fermentation a little more alcohol is produced along with, most importantly, carbon dioxide. In normal fermentation this would simply dissipate into the air but, trapped inside a Champagne bottle, it is dissolved into the wine where it will remain until the pressure is released upon opening. 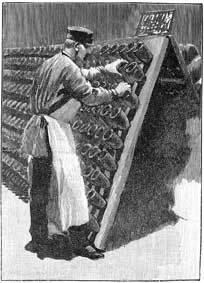 A further effect of the fermentation in the bottle is the addition of ‘yeasty’ flavours to the wine. Over the 18 months that Champagne is required by law to spend in the bottle during secondary fermentation (this is extended to 36 months for vintage Champagne), savoury, biscuity character gradually develops. Once this process is complete the spent yeast must be removed from the bottle in a costly and time-consuming process known as disgorgement. These processes combine to make a wine whose production demands significant amounts of both time and money – hardly surprising when you consider the price tag it usually carries. It may surprise you though to learn that Cava is made in almost exactly the same way. Apart from using grape varieties from the areas of Spain where it is produced, Cava goes through precisely the same traditional methods. Perhaps more surprising is that many English Sparkling Wines are also made in this way – using the same grapes as the French. There are also producers in the USA, South Africa, Australia and New Zealand doing similar things. Prosecco, on the other hand, is made in a different way altogether. Rather than a secondary fermentation in the bottle, Prosecco (from Veneto in north east Italy) is fermented for the second time in a large air tight tank. This not only means more wine can be produced at once (lowering the cost for the consumer) but also prevents the savoury yeast character developing creating a simpler, fruitier flavour. The crisp, light character of Prosecco, combined with attractive price points, has helped it to make great gains in popularity in recent times. Although it struggles with an undeserved reputation, being dismissed by many as “poor man’s Champagne”, Prosecco is actually a totally different style of wine - a refreshing and delicious one, in my humble opinion. Yet another method of production, and by far the cheapest, is carbonation – not unlike the carbonation used in soft drinks. The low quality of this method means it is highly unlikely to ever challenge Champagne’s dominance, but the same cannot be said of the other wines we’ve discussed. 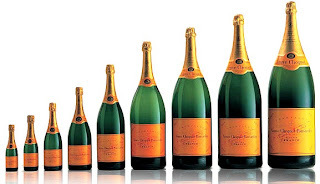 So why does Champagne enjoy such a privileged position at the top of the hierarchy? In brutally simple terms this can be explained in a single word: marketing. The world of sparkling wine is phenomenally brand-orientated. If you’ve ever heard of Moët et Chandon, Laurent Perrier or Veuve Cliquot then it obviously works. Champagne houses have been actively marketing their wines for well over 200 years and whilst this has undoubtedly helped them to secure a brand awareness well beyond that of its competitors, this doesn’t come for free. Ultimately, it is the consumer who foots the bill, and it has been estimated that up to 20% of the cost of a bottle of Champagne goes towards marketing. For this reason there are some real bargains to be had for those seeking the traditional taste profile of Champagne, simply by looking for less well known wines from further afield. 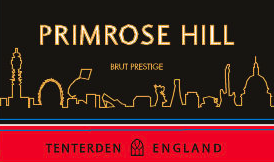 Or, indeed, closer to home: whilst English Sparkling Wines are not cheap (they have high costs of both land and labour to contend with) they are not yet trading on brand name alone, so deliver serious quality for the money. Will any of these alternatives ever realistically compete with the French? In many ways, they already do. English Sparkling Wine producers such as Chapel Down in Kent routinely beat Champagnes in blind taste tests, and Prosecco is carving a niche for itself as a fantastic afternoon tipple. There’s still some way to go before either of these, or any other, contenders can seriously challenge the champion that is Champagne, but recent figures show that a momentum is building: Champagne sales in 2011 dropped almost one third, whilst other sparkling wines increased by over 50%. As people become increasingly aware of provenance and production methods, there is hope for the underdogs yet. Thanks for this - very interesting. Love your blog!